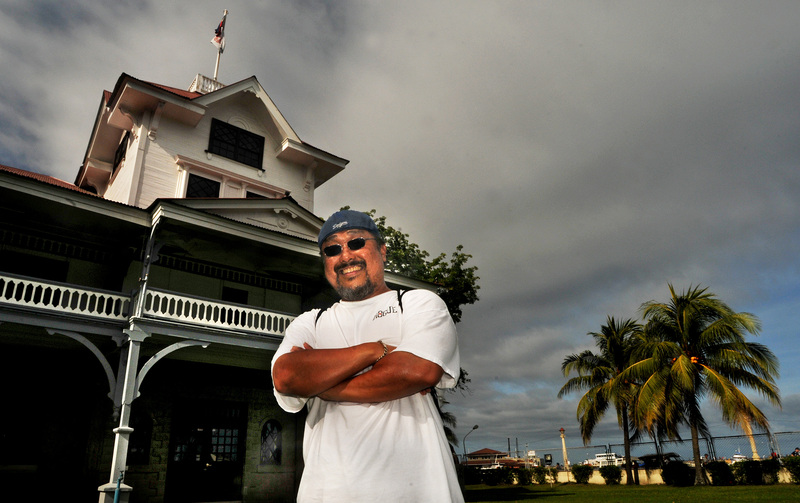 Me in front of Silliman Hall on the campus of my alma mater Silliman University. The scariest thing about searching for the past is that you may not find what you’re looking for. Fact is it may not exist anymore. 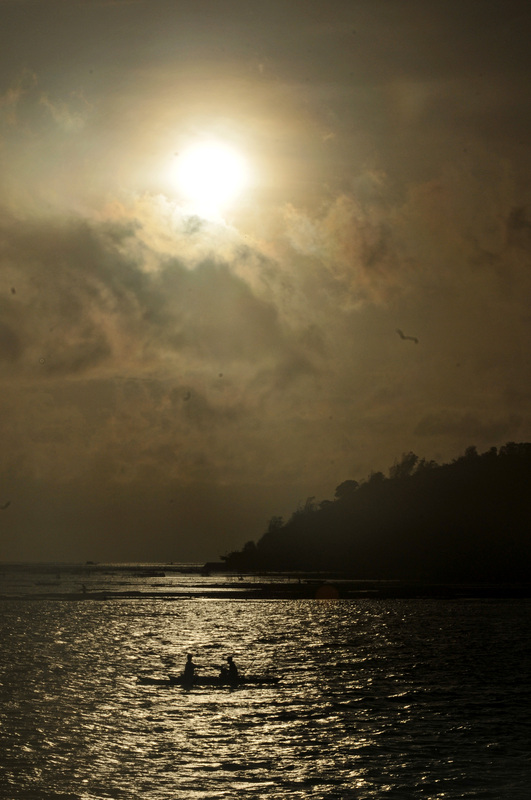 Eight days ago I began a journey of rediscovery — searching for the Dumaguete of my youth. My wife Meg came along for the ride because I wanted to share with her the place where I grew up. All I had were faded memories locked in a handful of old pictures my mother gave me. Friends I grew up with would tell me stories of how much my hometown had changed when they visited me in America. Any news out of Dumaguete was welcome news to me. Even news of devastating typhoons because it gave me a peep into life here. Thirty years is a long time. To me, it feels like a lifetime. I left Dumaguete for the same reasons many leave this city. I wanted to see the world beyond the stately palm trees and blue waters of Negros Oriental. I wanted to make something of myself. I always thought that in my triumphant return I would be going back to the charming little town I called home for 14 years. Where the dust would gather around your ankles after walking around unpaved pathways. Where acacia and coconut trees dominated the skyline. Where the smell of fresh steamed rice, pan de sal and chicken inasal (grilled chicken) teased your appetite. I longed for that simpler time. My heart ached for the innocence that was once my Dumaguete. This is no longer my Dumaguete. Perhaps it never really was. Today this city of 120,000 people stands as a model of economic development in the Philippines. Foreign investments dot the beaches of Dauin in the form of dive resorts. Downtown Dumaguete is a vibrant commercial center with shopping centers, restaurants and office buildings. Even the town’s preeminent academic institution, Silliman University, has gotten into the fray with a commercial development called Portal West — a building that is mostly leased out for commercial use. According to provincial board member Jessica Villanueva the population of this town can grow to 500,000 during week days when visitors from the other islands converge on Dumaguete to do business. And judging from the number of sunburnt foreign visitors sipping mango shakes in cafes along the boulevard, tourism is booming. 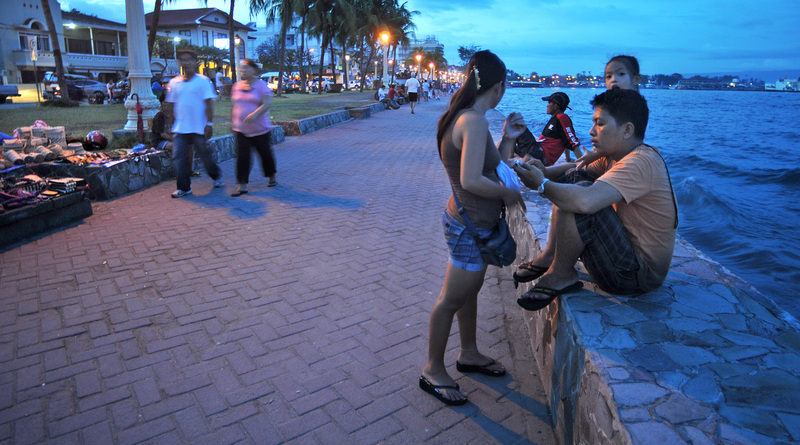 Dumaguete is now a destination for both business and pleasure. What has not changed is the spirit and heart of the people who live here. As a foreign guest I have been treated to Dumaguete’s famous hospitality. Their beaming smiles warm your soul. Their sincerity to help you any way they can is encouraging. 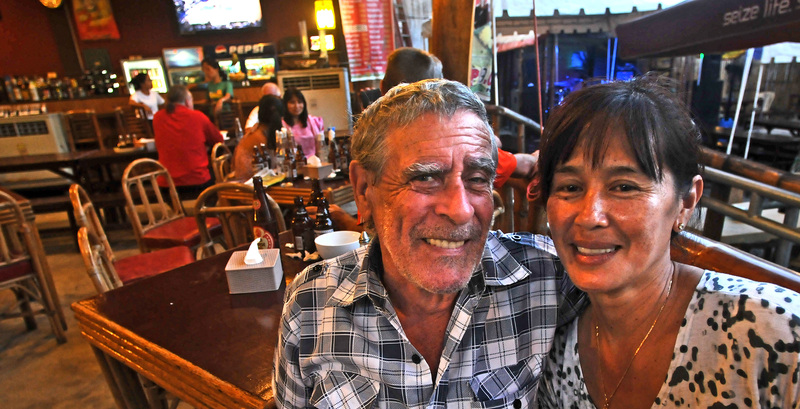 This hospitality is mainly what has convinced many foreigners — Germans, Australians, Canadians and Americans — to call Dumaguete home. Hughes, who moved here six years ago, is married to a woman from Bacong, a tiny municipality four miles south of the city. They have two children. Terrence Green, formerly of Darwin, Australia, was hooked after accompanying a friend to Dumaguete. It was during that trip that he met a beautiful woman named Vina from Sibulan, a town three miles to the north. He married her and has been living in the foothills above Dumaguete for the past seven years. They are staking their claim to this lovely place. To them this is home. Their children will grow up here and build memories of their own. They will picture a place where the palm trees do indeed stand tall and stately. Where the breeze from the southern sea blow gently through the town’s narrow avenues. Dumaguete, thank you for the memories. I am proud that I once called you home. You will always live in my heart. I will always be thankful for your warmth and care. With all my love and enduring gratitude, goodbye Dumaguete until we meet again. Love, love, loved reading the blog of your journey to our hometown of Dumaguete. Those of us who have not been back for a very long time can totally relate to all the different waves of emotions that went through you as you experienced so many different facets of the life there in the present but I am sure more than occasionally through the lens of our former life there. Your last entry especially made weepy :-/. There will always be a part of us that will long to recapture the simplicity of our youth, before life became so grown up and complex…. Thank you Auntie Nita. Meg and I truly had a wonderful time visiting Dumaguete. You and your family have our enduring gratitude for your hospitality. We hope to someday soon return the favor when you visit the U.S. I am waiting for the travel story I wrote about Negros and Dumaguete to be published. It is planned for sometime in May. I was able to enthusiastically chronicle our visit to the sandbar in Bais, complete with an insightful quote from Atty. Tayko. I will make sure to send you guys a link to the article when it runs.